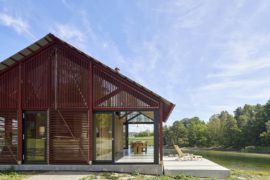 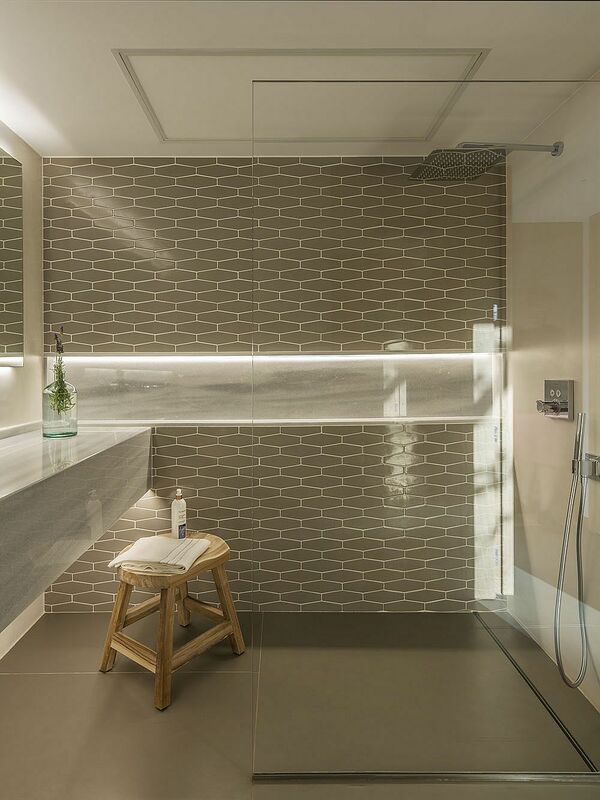 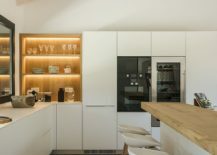 If you just took an extra second to look at the recent homes and interior inspirations that we have featured recently, you will notice a subtle, yet clear trend that seems to be taking over ever so quietly. 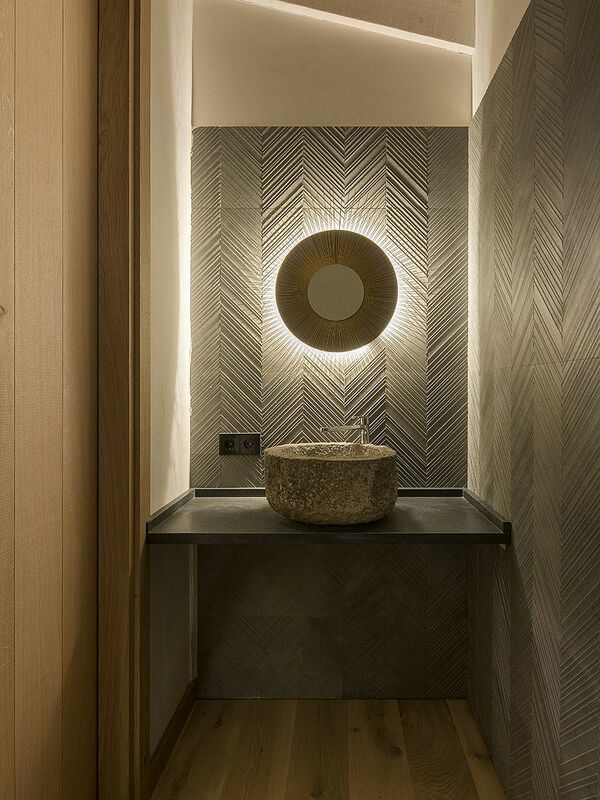 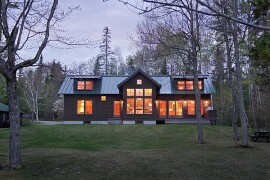 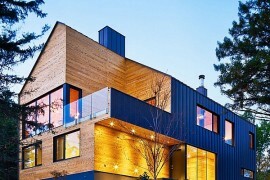 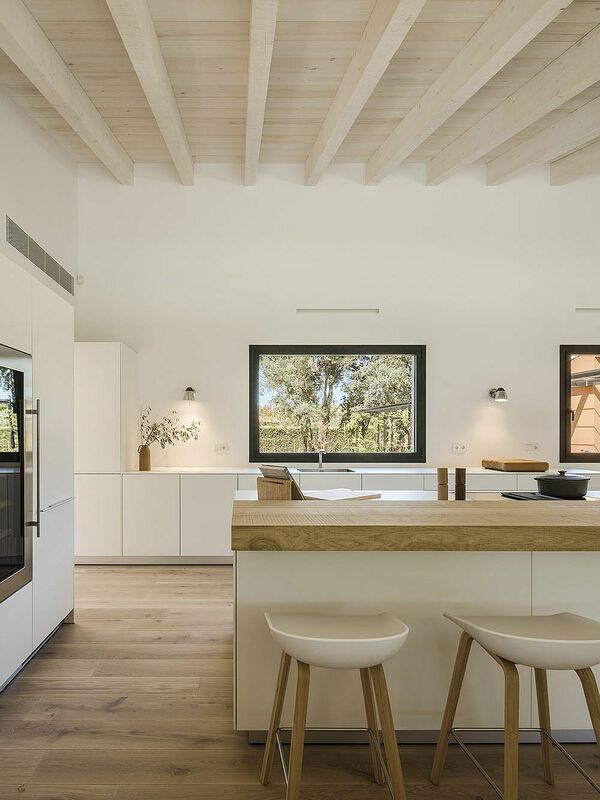 Wood and white as a color palette is quickly replacing the likes of gray and white or even beige and white. 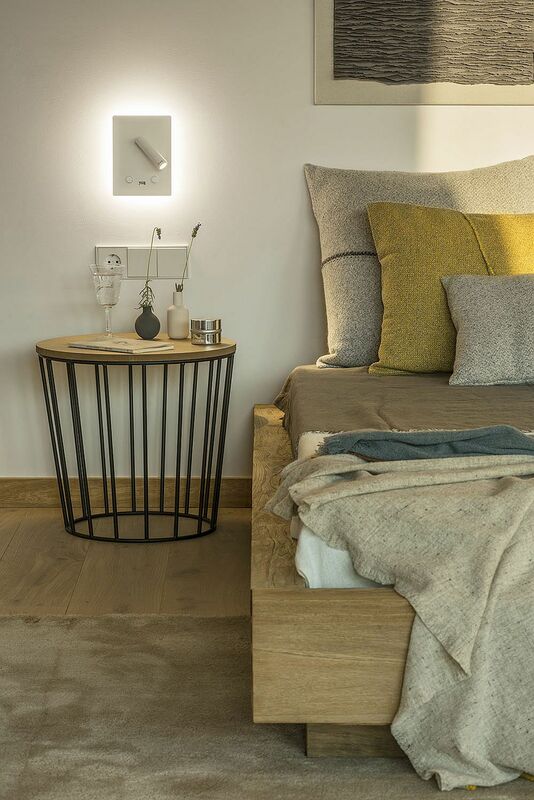 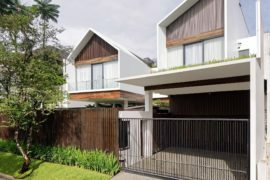 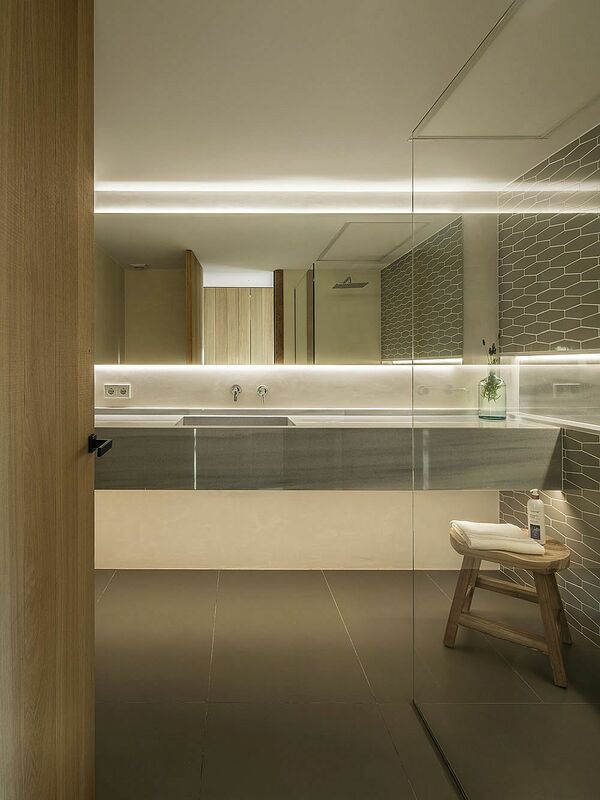 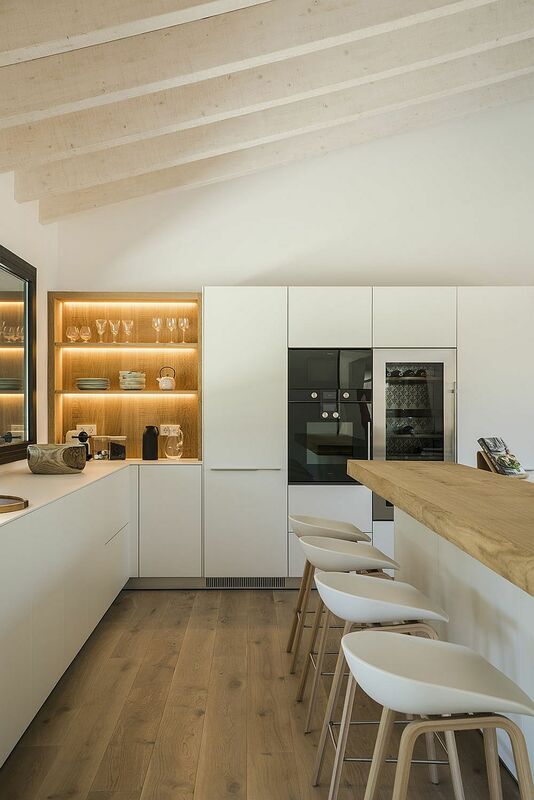 By combining beautiful wooden surfaces with a serene white backdrop, one can achieve textural and visual contrast without altering the contemporary appeal of the home. 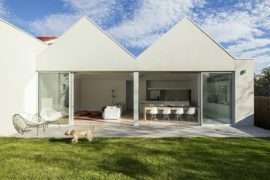 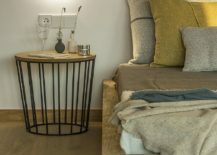 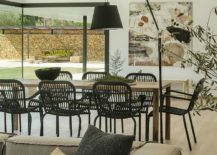 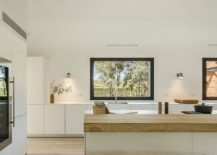 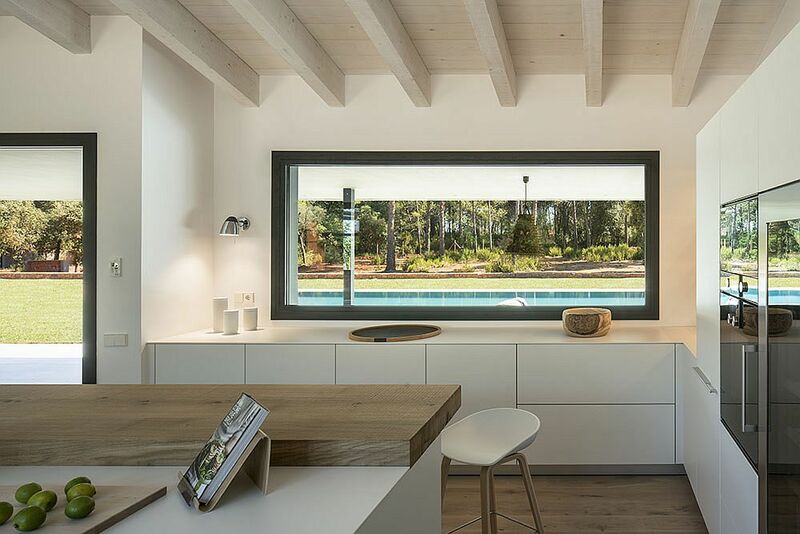 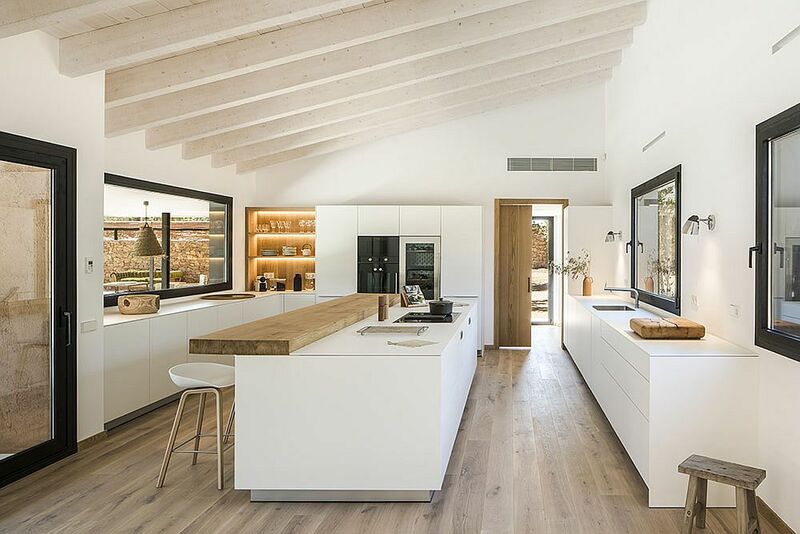 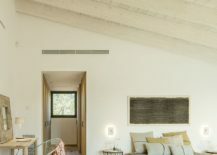 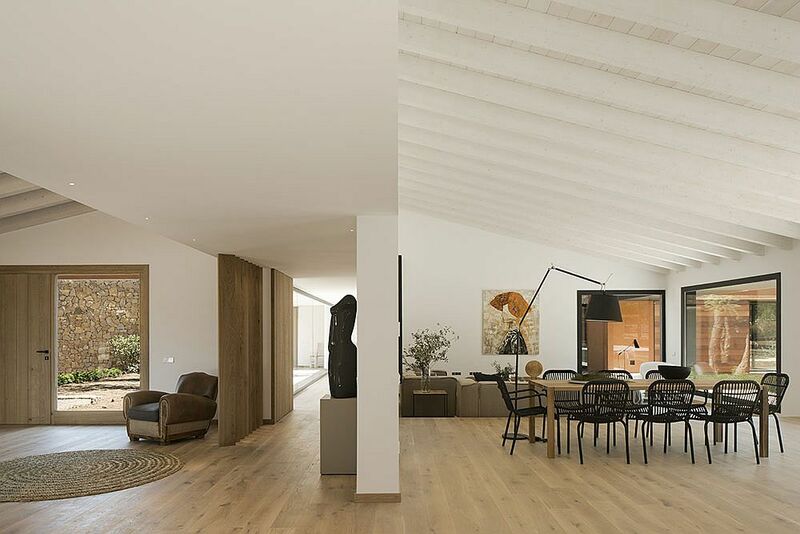 It is precisely this decorating principle that Susanna Cots Interior Design showcases with the design of a light-filled and cheerful contemporary residence in Costa Brava, Spain. 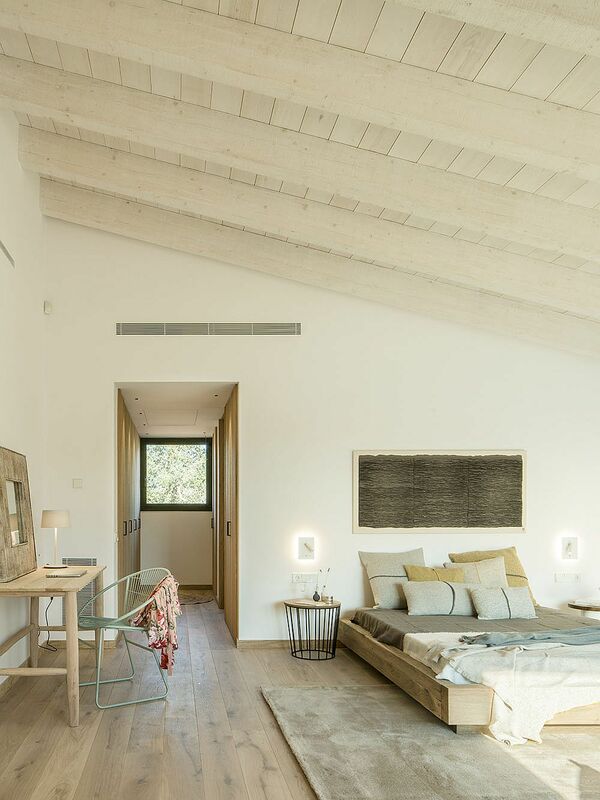 Instead of relying on gray accent walls or even pops of bright accent hues, this breezy and serene Catalonia home turns to wood for personality. 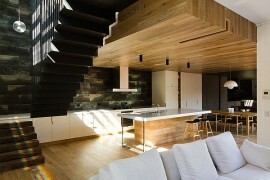 A world of white is only disturbed by the beautiful angled wooden partitions in the living room. 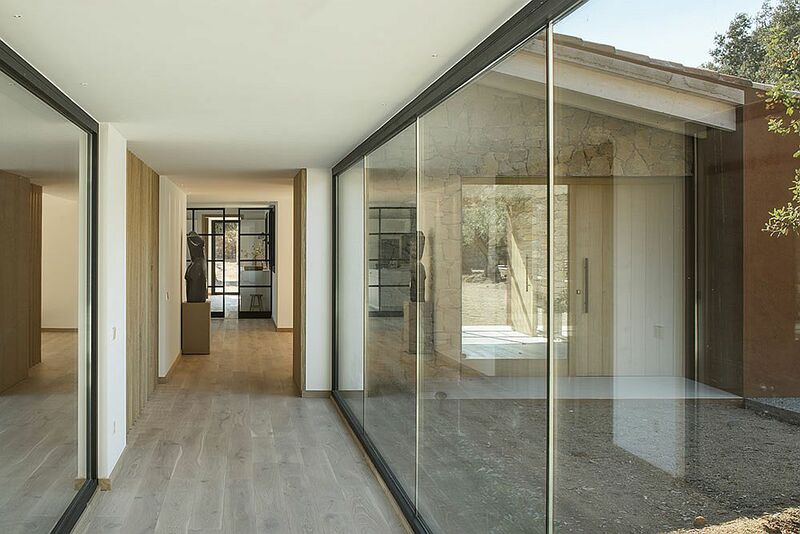 Delineating the living area from the dining and kitchen, the angled partition ushers in natural light even while bringing a sense of privacy. 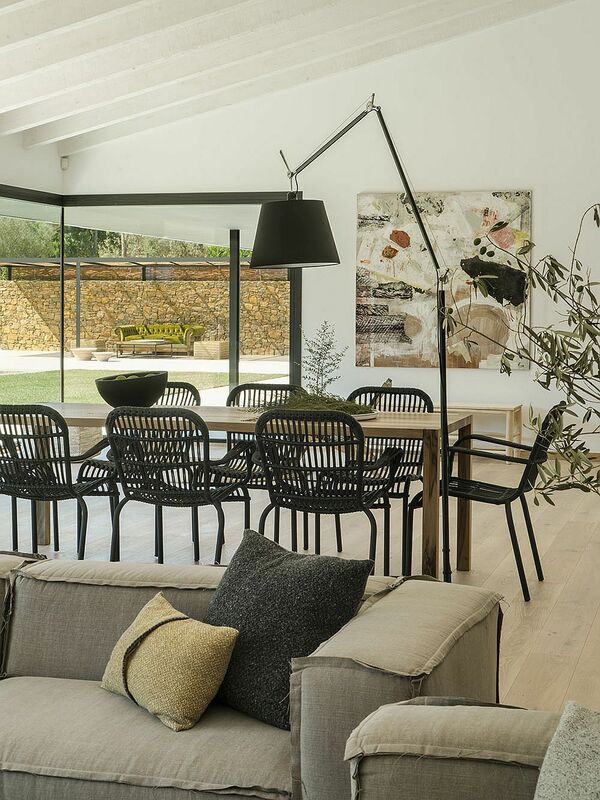 The dining area is a touch different from the rest as a tall floor lamp in black and dining table chairs also in black move away from the color scheme used elsewhere in the house. 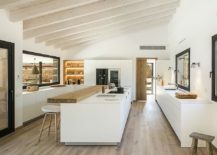 The large kitchen with its two different workstations and a central island that holds a lovely breakfast bar is visually connected with the pool area and backyard. 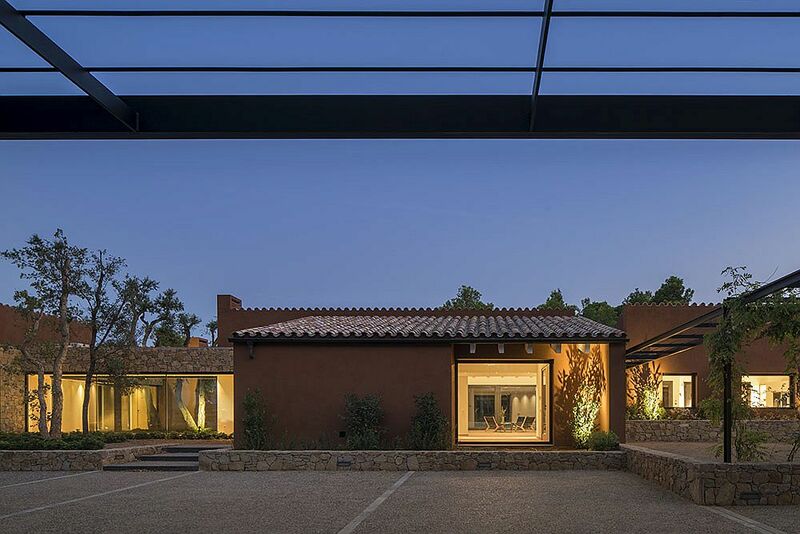 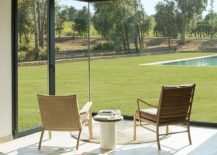 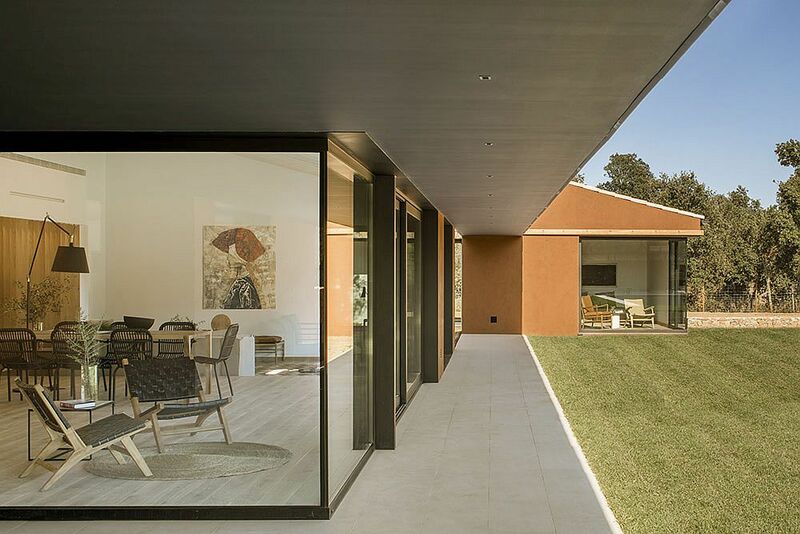 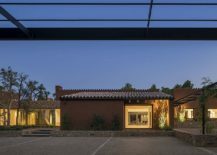 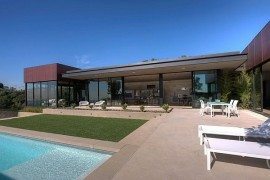 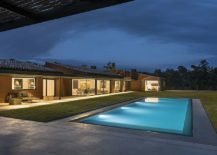 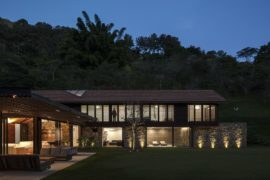 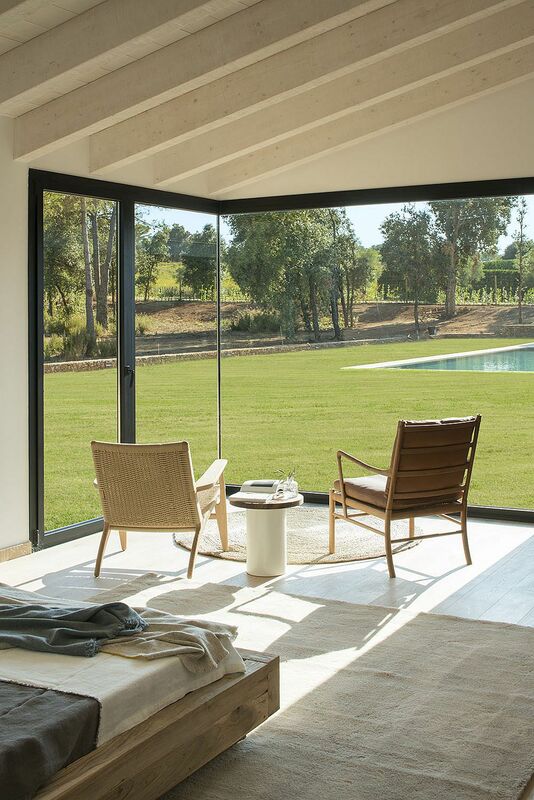 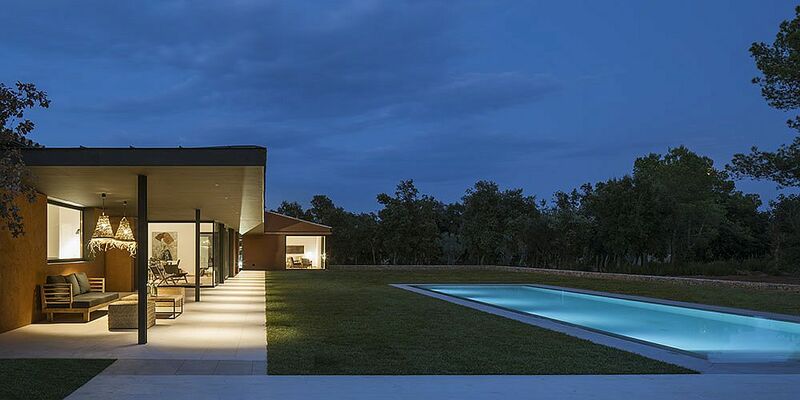 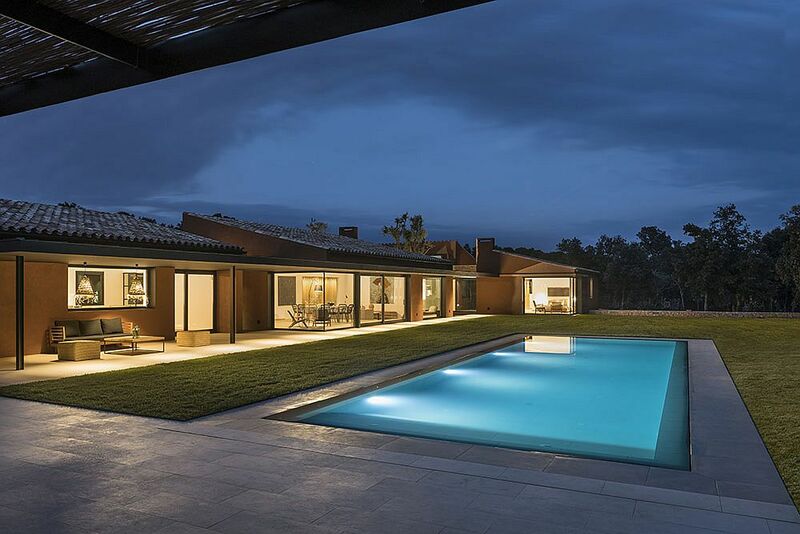 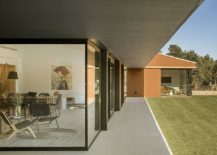 A wall of floor-to-ceiling glass windows, series of lovely corner windows and sliding glass doors connect the interior with the outdoors even as stone walls outside add to the unique visual that this modern Spanish home presents.